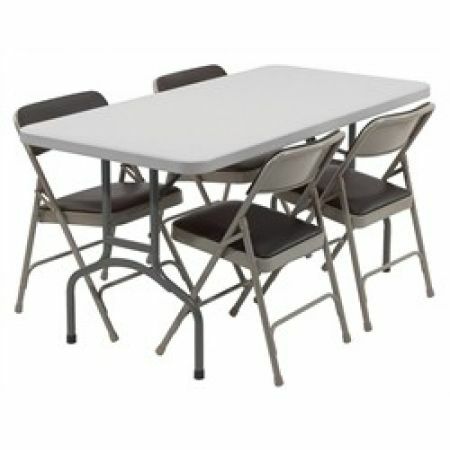 Hold meetings, rest equipment, stack scripts, plan scenes...even eat lunch with this table and chair set. You don't want to trip over odds and ends on set and damage equipment, so store them on a table and take a seat for a well-deserved break. Our table and chair set includes one (1) table and four (4) chairs.